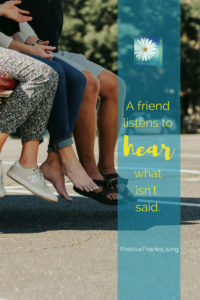 Listen to hear what isn’t said – be a friend. 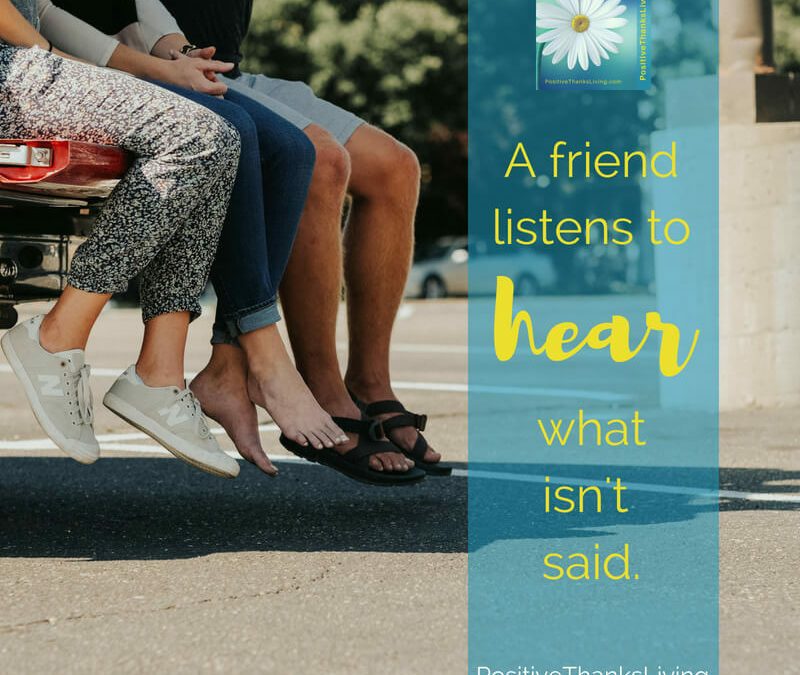 A friend listens to hear what isn’t said. Take your communication up a notch. Be quiet. Let your friend speak.